Two years too late describes how best I feel about this sequel to the highly enjoyable 2009 reboot of the adventures of Captain Kirk and Mr. Spock. Two years earlier and my expectations would not have been as demanding. Two years ago another exploration of these characters before they started their 5 year mission would have been something agreeable. But 4 years later, my expectations were higher. A highly polished script and a brand new adventure to go boldly once again were want I wanted – and I suspect a lot of the fans of the Trek franchise before this reboot started. Instead we get a perfectly serviceable summer blockbuster that the general movie going public and critics have found enjoyable. As a summer blockbuster movie I found it enjoyable. And instantly disposable. As a long time Trek from when the original series aired I found this a mediocre Trek movie that recycled elements from the original series and the second movie. The recycling lacks the impact from the original iteration because the events that take place in The Wrath of Khan work so well because of what transpired in the original Space Seed TV episode. 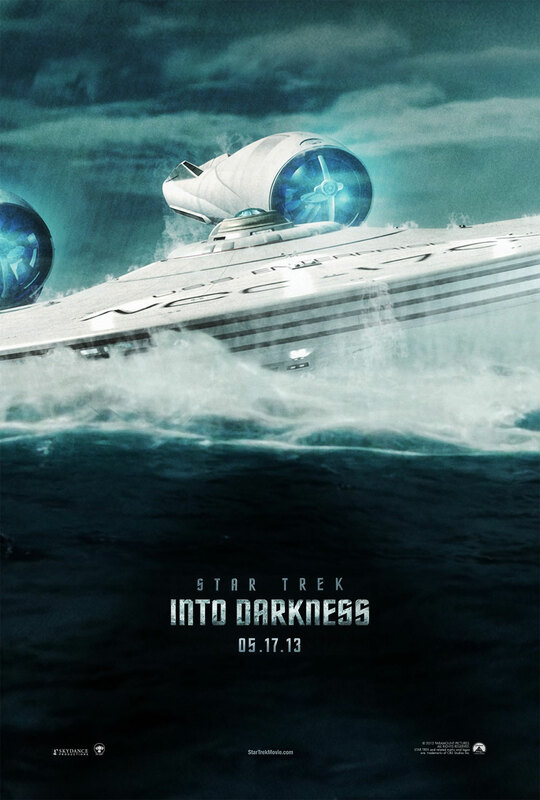 Khan works as a threat in the movie because he and the crew of the Enterprise have a shared history. In STID, Khan means nothing to these new versions of Kirk and Spock et al. So their moments together have no way of carrying the same dramatic tension. 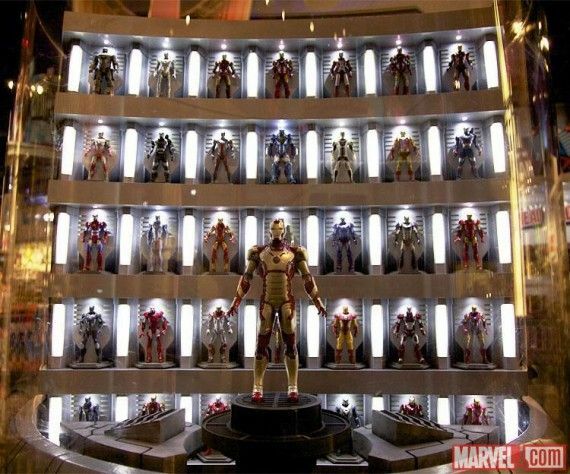 I remain hopeful the next movie will finally deliver some new and original ideas. The cast is fantastic and they really deserve their own adventure. It’s time for them to see what’s out there. This book totally caught me off guard and blew me away. Plain & simple. Partially because it does not seem to garner the same attention Simmons’s other recent books do. And partially while I enjoy reading Simmons’s books, he favors world building to that of character and I always find his characters somewhat cool and aloof. Not so with Paha Sapa. What a remarkable character and what a remarkable story Simmons tells about and through him. I found the integration of his story with the history that was taking place during his life, plus the glimpses into other times, the most compelling of any book Simmons has done to date. In some aspects, and I mean this in the most complimentary way, this is like Simmons’s version of Stephen King’s – The Dead Zone. The tragedy that Paha Sapa endured for the majority of his life was heart breaking and I loved how Simmons handled his life after meeting his granddaughter. The recounting of the construction of Mount Rushmore, the Chicago World Fair of 1893, the building of the Brooklyn Bridge, the exploration of George Custer and his wife, plus the glimpses of the world past, present, and future; all so engrossing and fascinating. Just looking at all the research material and people Simmons conversed with is staggering. And it all comes together so seamlessly to so poignantly tell the life story of this Sioux, or Lakota or Natural Free Human Being. This is now my favorite Simmons book. My, my how time flies. It has been over 3 weeks since my last update! Wow. Been doing a lot of things, saw a couple of movies, read a few books, and have been writing!! WooT! Finally got an idea that excited me and looks like it has some legs that will allow me to write a short story first with an eye towards a novel(s) later on. So, I’ll make up for the lack of posts by stringing together a series of them over the next few days which will allow me to go into more detail about the various items I want to post about. This was an unexpected gift. A combo heist/revenge/magic illusion movie with a great cast: Mark Ruffalo, Morgan Freeman, Michael Caine, Woody Harrelson, Jesse Eisenberg, and Isla Fisher. My wife and I saw this free as part of one of the Cineplex Scene promotions and turned out to be an excellent surprise. We both love magic and the premise of the movie is based on it. Of course with the cinematic trickery available today the line between it and sleight of hand is even more blurred. So a bit of buy in is needed to accept that certain tricks would not be possible in a live show. With that in mind this is a fun story that explores the concept that real magic does exist. Something that most of the characters in the film are searching for, especially the magicians. Which is great since they know the tricks behind the supposed magic they are practitioners of. This is a fun romp with the actors obviously having a lot of fun with their roles and each other. The story is well written with many twists and turns and moments of triumph, comeuppance, and for certain characters – unexpected payoffs. The pleasant surprise of the movie was Mark Ruffalo, an actor that’s been around for awhile and made a big splash as Bruce Banner/Hulk in Avengers. In Avengers, Ruffalo demonstrated his ability to create an empathetic character with limited screen time. He pulls off that same trick in this flick but with a much more complicated arc; starting with a character that cliche strictures dictate will be the antagonist. His character of FBI agent Dylan Rhodes is the cop in pursuit of the Four Horseman – the illusionists who are using their shows to pull off big scale heists. The first heist, in which a man is seemingly transported from the US to the inside of a Paris bank vault from where the money makes the reverse journey to be dispersed to the crowd is the coolest one. Especially when Magician Buster Morgan Freeman shows Rhodes how it was done. A movie we probably never would have seen if not for the promo that allowed us to see it for free. A very pleasant surprise. My favorite writer, Stephen King, delivers the goods again. A breezy 283 pages, especially for a King novel, this Hard Case Crimes paperback edition starts and ends far too quickly. King and Carnies are something that go together naturally and it is a bit surprising he has not used such settings more often. 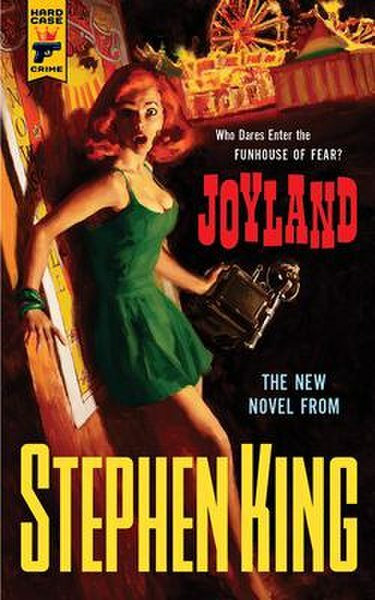 In Joyland the story takes place in 1973 at the titular amusement park which went out of business just a few years later; a victim of the Disney Worlds and other corporate theme parks that spelled the end for most independently owned amusement parks. This is a story of a 63 year old Devin Jones, King’s age when he wrote the book, looking back on a summer job at the North Carolina amusement park. At the same time Jones is grappling with the realization that his first real relationship is breaking down and rejection is coming his way. Throw in an unsolved murder that happened at Joyland and a mysterious woman with a wheel bound young son and all the ingredients for a King novel are there. This novel marks the perspective that only an older man can have and the tale King weaves around Jones and the people he meets at the park is another example of his ability to create characters you come to care about. There are some slight supernatural elements to the story. In a way, I wish King had written the story without it because it comes across as a story telling convenience. That minor quibble aside, the story is so engrossing because the writing so transparent as it is crafted to service the story and not call attention to the writer’s talent. It is all over before you know it. I read the book in two days and it felt like I had read a short story instead of an almost 300 page novel. Joyland is a captivating story from the bittersweet perspective of a character, and writer, who has the life experiences to put things in their proper context. Now the wait for Dr. Sleep – King’s – The Shining sequel – begins. Since the accident back in 1999, the amount of work King has produced is incredible. And at age 65 now, King does not appear to be slowing down. If anything, he seems to be gathering momentum.